Does your remote or branch office need a server that delivers the essential availability and expansion to accommodate your changing business needs? 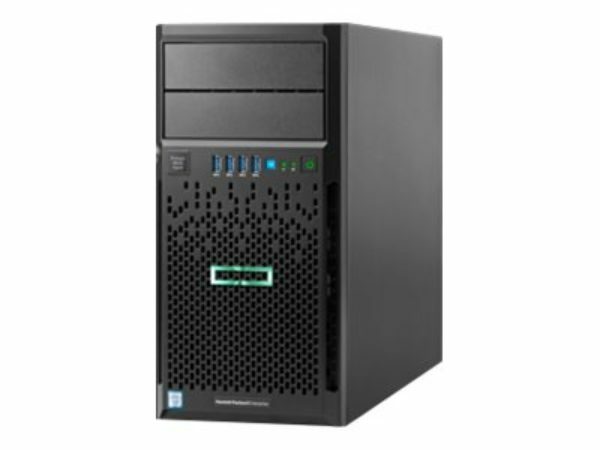 The HPE ProLiant ML30 Gen9 server is an affordable tower that features value performance, expansion, and growth that is ideal for small businesses and remote branch offices. The HPE ProLiant ML30 Gen9 Server offers HPE iLO Advanced, a key component, provides enhanced remote server functions that reduce IT travel costs, while decreasing time-to-resolution. Includes Smart Update Manager (SUM), and Service Pack for ProLiant (SPP), and other products. The HPE ProLiant ML30 Gen9 Server with HPE Smart Drives improve serviceability and prevents data loss with features such as icon-based status display and Do Not Remove LED.ECC memory protects businesses from data loss and unplanned system downtime.